A new computer chip made of tempered glass that self destructs in seconds when remotely triggered could keep sensitive date secure, researchers say. The new technology could allow for easier recycling of electronics, or help ensure that data on stolen electronics remains secure, Whiting said. The researchers decided to use tempered glass, an extra strength material also known as safety glass, to make self-destructing electronics, ‘Live Science’ reported. Normally, glass is tempered by cooling the edges: The glass exterior shrinks, putting the exterior into compression while the warmer interior maintains incredible tensile stress. Though the glass is stronger than normal, “if you break a piece of safety glass, it kind of explodes, shatters explosively into little pieces,” Whiting said. The new method allows for either attaching silicon wafers directly to the glass, or fabricating the two together. 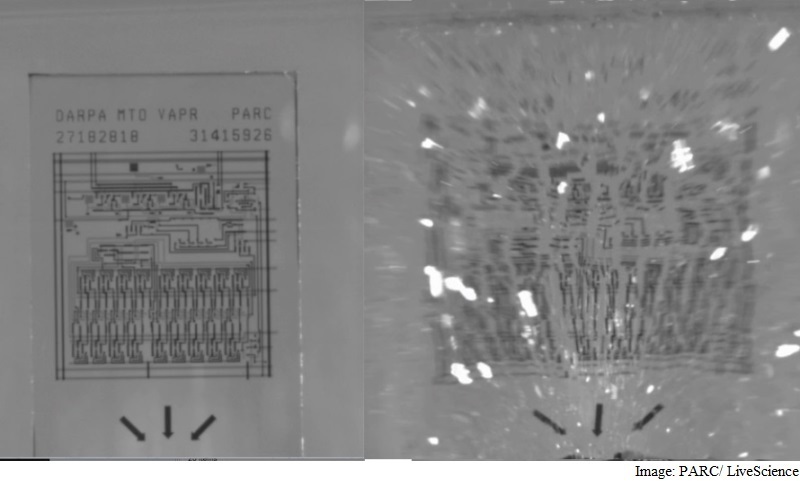 To induce chip suicide, the team triggers the chip with a tiny heating element, which causes a thermal shock that creates a fracture that spreads throughout the glass. Anything from Wi-Fi to radio waves could send the kill signal to the chip, Whiting said.